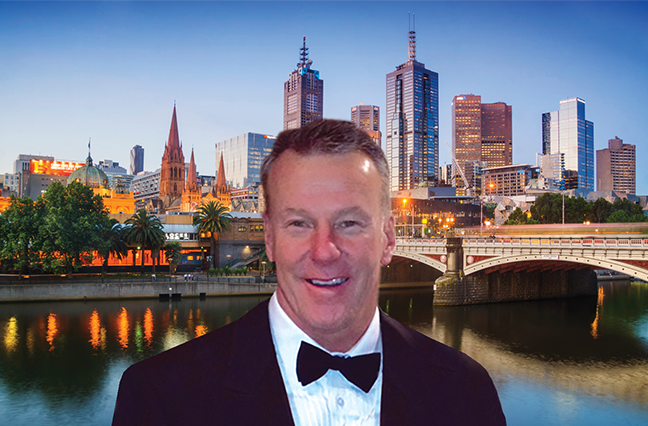 Take a look down under with Damien Honan, CEO of Honan Insurance Group. The number of new restaurants and bars opening literally every day is staggering. It’s hard to keep up! A new trend is share plates, which is great because it allows you to try many dishes during a meal rather than just one main meal. The new Stokehouse Melbourne is fantastic for the food and views. Whether you are upstairs in the formal dining area or downstairs in the casual bar, there is always something to see and exciting to eat. France-Soir in South Yarra. It is an old-school French bistro that hasn’t changed in the past 30 years. It’s perfect for the long lunch. I love their steak with pomme frites. Bar Di Stasio on Fitzroy Street in St Kilda is a must. It has become an institution. I strongly recommend sitting at the bar on an early evening and enjoying a house-made negroni. Even though it is an hour drive from Melbourne, I would encourage visitors to spend a weekend at the Mornington Peninsula and stay at the newly opened Jackalope Hotel. There are some fantastic wineries down that way. If you are looking for something in the city, stay at the design hotel QT Melbourne and have a drink at the rooftop bar on a Friday afternoon. My favorite thing to do is to head to the Melbourne Cricket Ground to watch a game of Australian Rules Football. Make sure that you visit during winter, the heart of the Australian Football League season. Melbourne is famous for the Royal Botanic Gardens just outside the Central Business District. Around the garden is a running track called “The Tan,” which is very busy before and after work. If you want a fun week with your friends, the Spring Racing Carnival at Flemington in early November is where you want to be. The whole city turns into a weeklong party with plenty of racing, drinking and late-night events. There are ski resorts a few hours outside of Melbourne that are great for a winter weekend getaway. They may not be as big as the mountains in Europe or the United States, but there is generally plenty of snow and always a party vibe at night.